Johnny Singh has been the marine biologist on staff at the Jean-Michel Cousteau resort for the past seven years. His job is to teach and inspire the guests to take responsibility for how their day-to-day choices affect the global ecosystem. 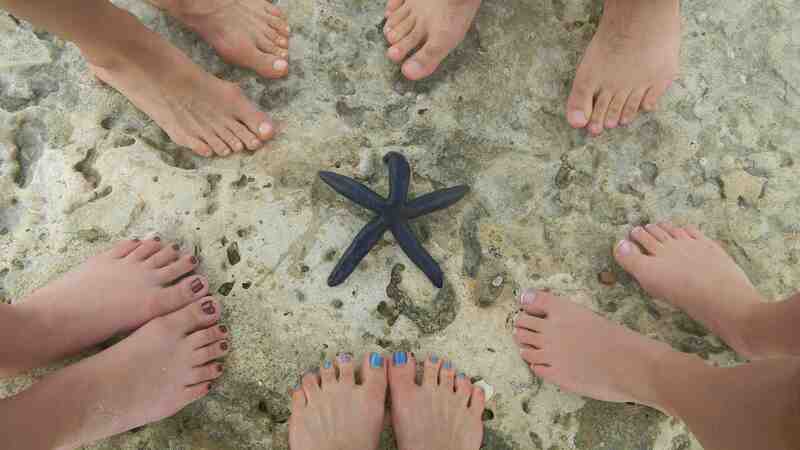 He grew up in Suva, the capital of Fiji, and shares, "I would go to the beach with my father and I loved it. Then I saw Jacques Cousteau on television and I wanted to do what he was doing." Johnny got his Masters in Marine Biology at James Cook University in Townsville, Australia, and began his career back in Fiji. His enthusiasm for teaching the young and old about the ecosystem is contagious, so much so that I did something I thought I'd never do -- took a trip to the swampy mangroves. 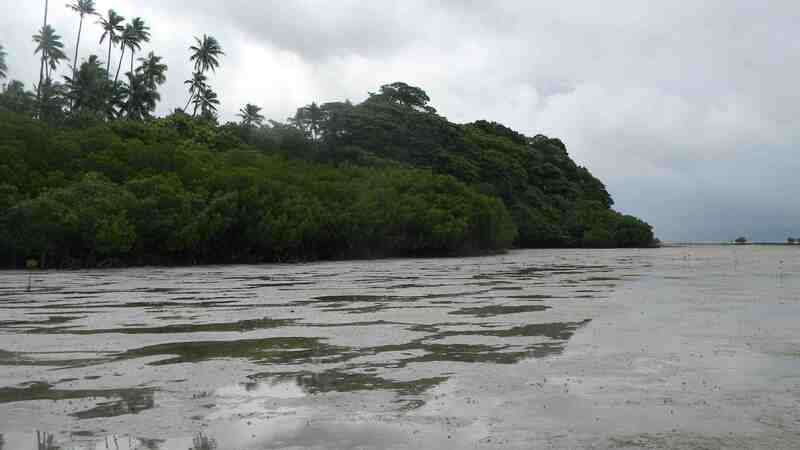 We took a small boat to a deserted beach, then sloshed to the edge of the mangroves off Savusavu in Fiji. As we stood there I could hear the disturbing buzzing of the tropical mosquitoes that I knew were carrying some gruesome disease or weird parasite that would explode in my brain (as see on Monsters Inside Me). All I could think was, "Give me some super-toxic DEET and take me back to the resort where I can hang out by the pool with a frosty beverage." Unfortunately, trash is getting stuck in the mangroves and is creating a safe harbor for these horrible little mosquito terrorists. The rainwater collects into the empty plastic containers that get stuck in the mangroves -- free and clear from hungry fish. Mosquitoes were not a problem until trash became a problem. Before my trip to Fiji, I thought nothing about buying bottled water. Nor did I consider recycling them. I never thought about where they ended up. Well, I saw where they ended up in Fiji's mangroves and I was disappointed in my ignorance. 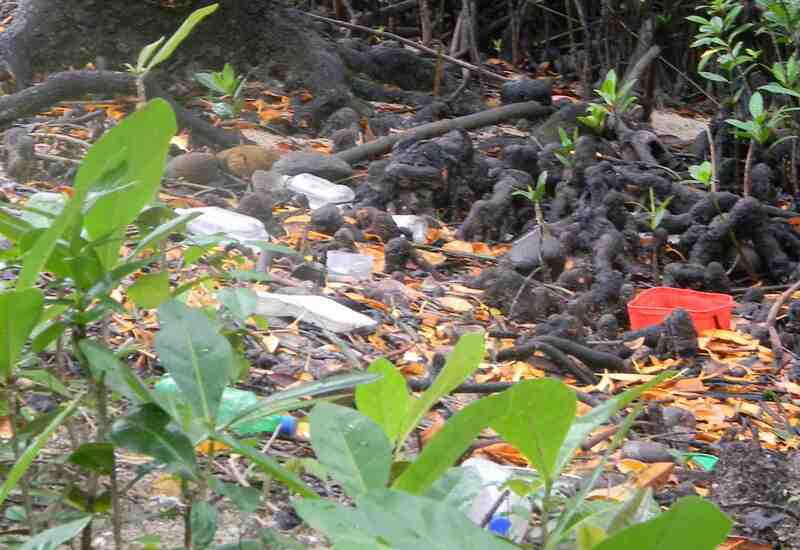 There, in the lush outdoors, stuck between the strong mangroves' roots and tangled in the tropical bushes were countless plastic containers suffocating the ecosystem and playing hosts to mosquitoes. The ecosystem is not the only thing getting suffocated; every year sea turtles and other large ocean animals try to digest the plastic, which usually ends tragically. 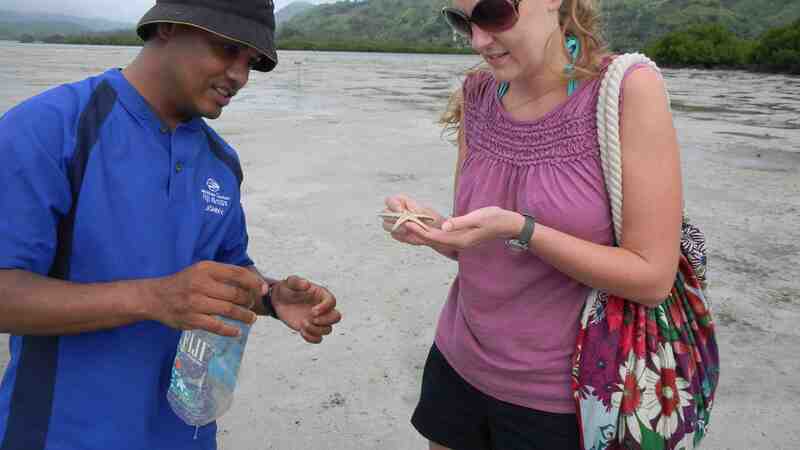 After Johnny's mangrove tour, I'm dedicated to recycling plastic and staying away from buying bottled water. It is this type of change that was the founding vision for Jean-Michel Cousteau when he first came to Fiji in the eighties. Mr. Cousteau came to Fiji looking to partner with a resort that held the same beliefs in sustainability that he did. Well, the previous owners of the property cut down the mangroves to create a beach. When that happened, there was nothing to stop the erosion. Instead of a beach, the property had mud flats. Due to the annihilation of the mangroves, there was nothing stopping the waves from sweeping away the dirt into the ocean. Next, that mud settled on the coral reefs and choked it. Basically, when the coral system dies, the fish leave and the ocean starts to perish. Through Jean-Michel Cousteau's commitment to change, that devastation was stopped and the reef is repairing itself. Although Mr. Cousteau is usually traveling the world filming, his primary mission is still alive and well in Fiji. The goal is teaching humans to be in balance with nature. 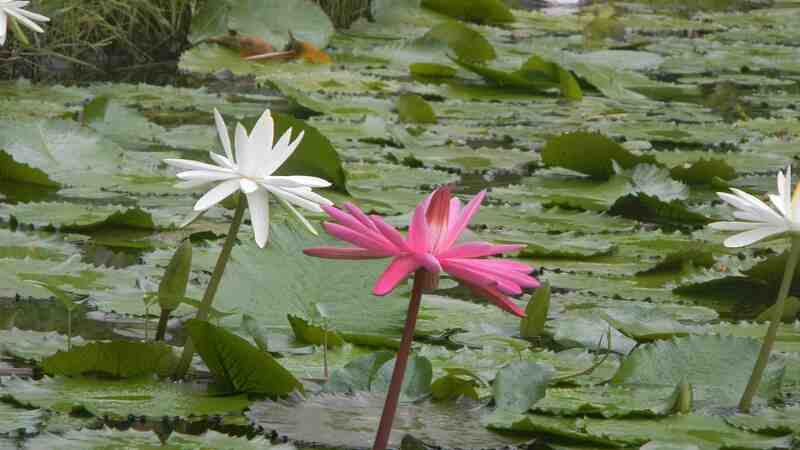 Some of the eco-friendly innovations include the resort's integrated landscaping that recycles grey water through lagoons filled with larva-eating predators and blooming with beautiful pink lilies. 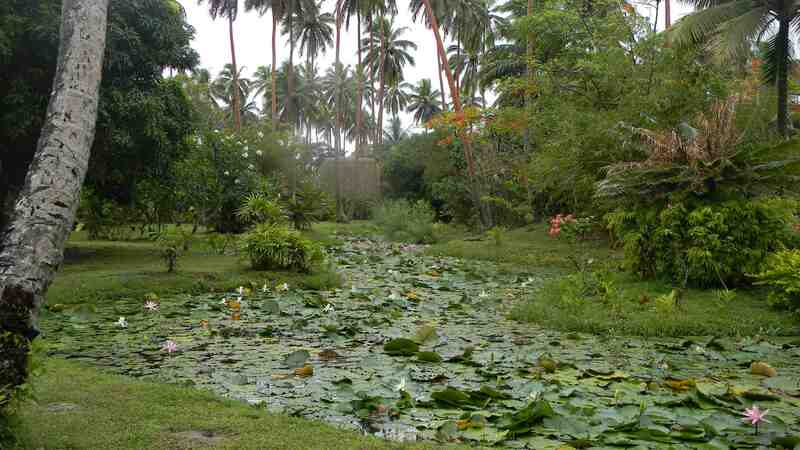 The local Fijians have planted a garden that provides the majority of vegetables for the guests. 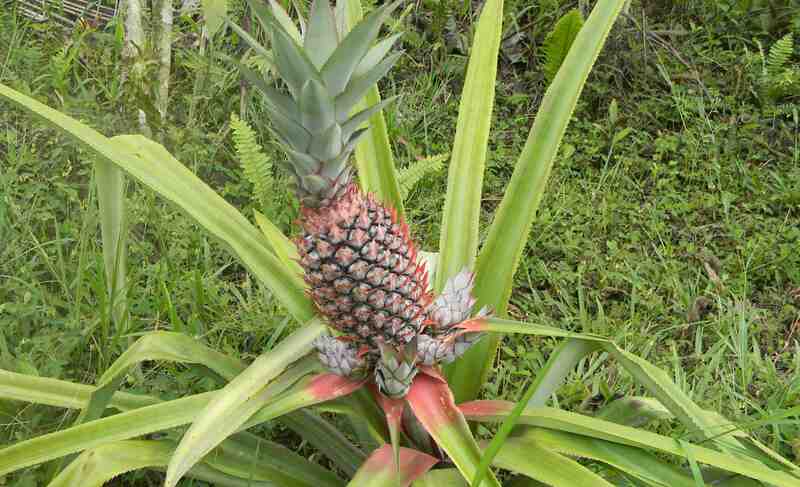 They also strategically planted edible flora and medicinal fauna throughout the property. These attract the native birds, which are bringing this once-damaged piece of paradise back to life with their sweet songs and delightful chirps. Pixar, the studio behind Finding Nemo, invited Jean-Michel Cousteau to be the host of a spoof Cousteau documentary that was created to educate viewers about the connection and dependence we have on a healthy ocean. Combining animation with incredible underwater footage, Dori, Nemo and Jean-Michel join forces to protect the ocean's coral reefs. Yes, it is hard to make changes to support the environment when you don't actually see what change can look like. We simply put our trash in a nice big can and it is taken away to some unknown place where it then becomes someone else's problems. 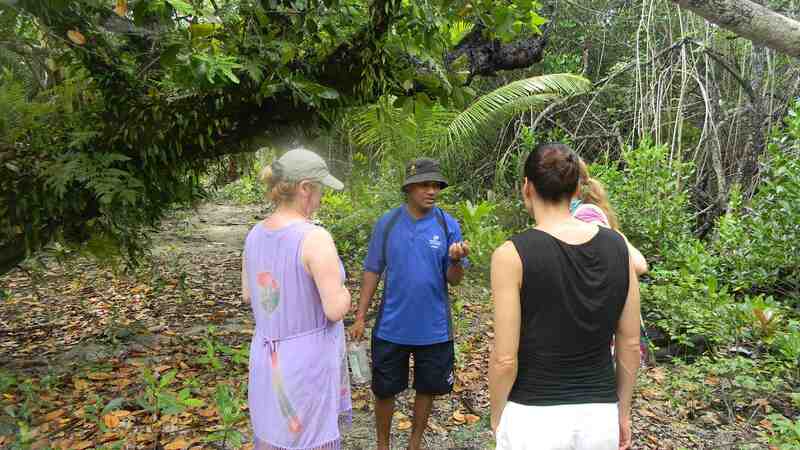 But, in the wilderness and oceans of Fiji, visitors can actually experience how their actions affect the ecosystem.